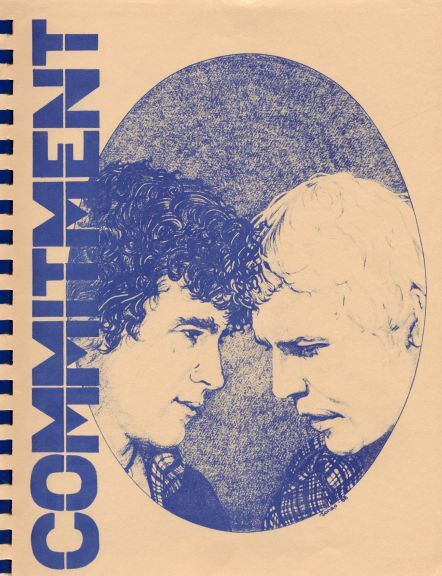 The zine Commitment was published in 1988. It is still available through Agent with Style. Her web page is: http://www.agentwithstyle.com, or you can email her at: zines@agentwithstyle.com. The zine originally was produced on a high quality cream-colored paper. It is reproduced to look as much like its original appearance as is possible. Enjoy!